At Thermal Specialties, we pride ourselves on using next generation technologies to keep our customers up and running with minimal downtime and reduced costs. 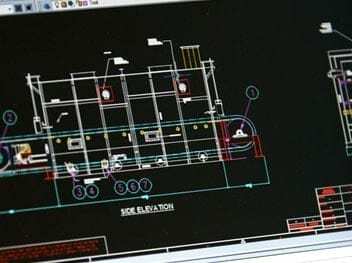 With Computer Aided Design (CAD) software, we are able to create flexible two-dimensional and three-dimensional designs that can be easily tested and modified to achieve the ideal product for your specific application. 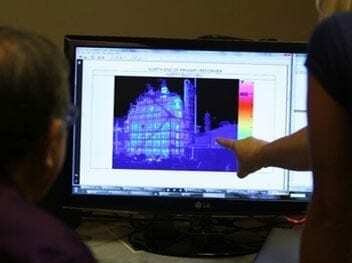 We use thermal imaging equipment to identify hot spots in your equipment prior to cool down, enabling us to develop a customized maintenance plan before taking your equipment offline. Our advanced project planning tools allow us to streamline project manpower, materials, and equipment flow from start to finish. By using these next-generation technologies, Thermal Specialties is able to design, manufacture, and deliver a reliable product quickly, saving you valuable time and money.